Thanks Omega over at sewhooked. Blogland is loaded with talented sewers. I don't know where to begin. 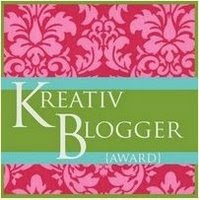 I am suppose to nominate 7 other blogger; however I am having some difficulty because I will like to nominate all the blogs I visit. Since I don't have the time to do that I am going to start "Alethia's Golden Sewing/Inspirational Award". I will be posting the winners of this award through the year. 1. Lisa at sewonandsewon. I like Lisa's sense of style and elegance. 2. Adrienne at adrienneslittleworld I enjoy her blog. I love her family photos, especially when she talk about her parents. I Absolutely enjoy the recipes and food photos. Also she has many talents such as scrapbooking, sewing and knitting. Oh one more thing she has a fabulous figure. 3. Myraida at myraida. Que puedo decir de esa boriqua bella. She is gifted, talented and very stylish. I love everything she sews. I enjoy photos of her little angel. 4.Cennetta themahoganystylist is stylish, talented and she has a lot of patience because she also sews for others. You can always find information regarding pattern alteration. 5. Krustallos at krustallos1. I started reading her blog one year ago; I really love those Amy Butler bag and her insights regarding life as a single lady. Alethia - thanks for the greeting and coming by my blog to check me out. I'm still nervous about putting in that zipper. Congradulations! Thank you! You are so sweet!